Christmas Proms is returning to Festival Theatre in a stunning new collaboration with the Adelaide Symphony Orchestra, conducted by Guy Noble. Sing the songs of Christmas and bring all the family together with Adelaide’s all-time favourite, Christmas Proms. Enjoy a heart-warming concert series featuring popular Christmas songs and traditional carols. 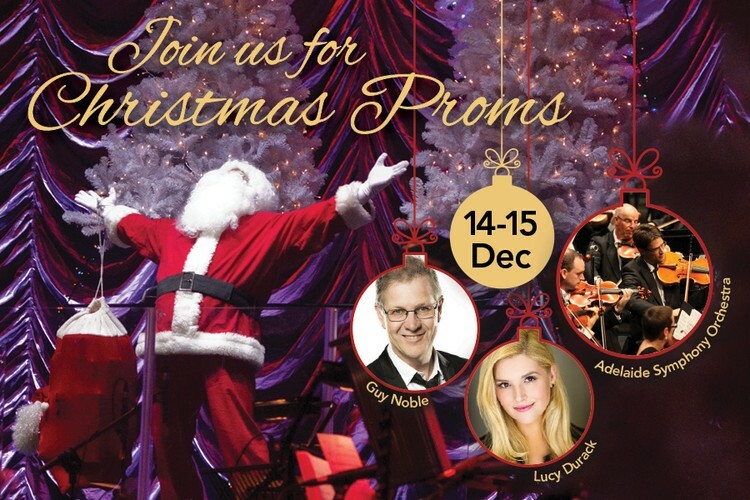 Enjoy the musical magic of Christmas in song and dance with performances by Lucy Durack (Wicked, Wizard of Oz), Jan Di Pietro (The Producers, Boy from Oz) and Sean Mulligan (Jersey Boys, Tap Pack) and special guest Father Christmas (North Pole). So, treat yourself this festive season! For young families, a special Something on Saturday edition of Christmas Proms will be performed on Saturday 15 December with a pre-show performance by the On Stage Choir and Christmas craft activities in the Festival Theatre foyer from 12:45pm.